Acceptance and Commitment Therapy (ACT) is an scientifically proven intervention that uses acceptance of thoughts and feelings, mindfulness, and behaviour change. The main goal of ACT is not to reduce symptoms, but to change the relationship we have with our thoughts and feelings and to increase psychological flexibility. This results in creating a rich and meaningful life, while accepting the inevitable pain associated with it. By recognising that thoughts and feelings are transient experiences, symptoms may be reduced by living more fully in the present moment. There are six core principles in ACT. Each principle having its own specific methodology. 1. Cognitive Defusion: The person learns to perceive thoughts, images, memories and other cognitions as nothing more than bits of language, words and pictures rather than threatening events, rules that must be obeyed, objective truths and facts. In other words, the person becomes part of an audience instead of being a protagonist. By stepping back and observing language without being caught up in it, thoughts have less impact and influence. 2. 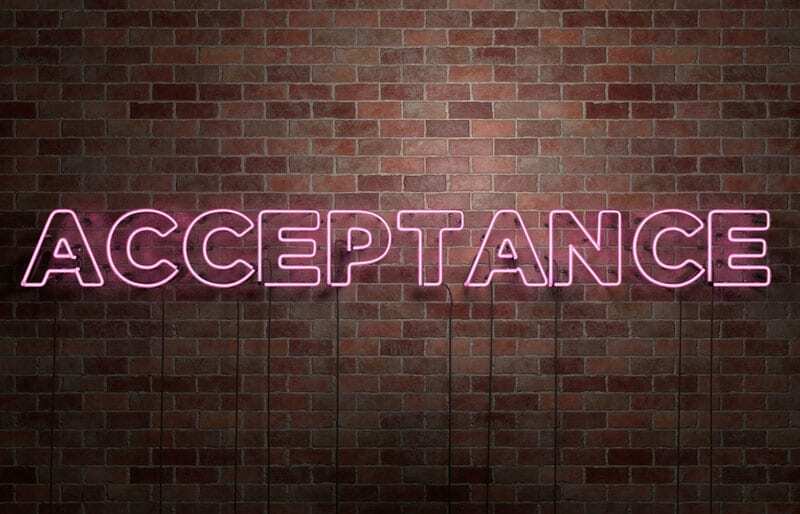 Acceptance: Therapy focuses on making room for unpleasant feelings, sensations, urges, and other private experiences; allowing these to come and go without challenging them, fighting them, running from them, or giving them undue attention. By decreasing the struggle the person can attend to the present moment. 3. Contact with the present moment: This refers to being present in the ‘here and-now’, with openness, interest, and receptiveness without making judgements; focusing on, and engaging fully in whatever you are doing. This is similar to mindfulness. 4. The Observing Self: This refers to thoughts, feelings, memories, urges, sensations, images, roles, or the physical body being peripheral aspects of a person instead of being the essence of who they are. 5. Values: This refers to identifying what is important and meaningful to the person including what they stand for in life. 6. Committed Action: This refers to taking actions to achieve set goals based on values. ACT therapy does not rely on a set manual, rather it relies on the creativity of the therapist to communicate the above principals and individualise the therapy for the client so that they can apply these theories and frameworks to their own lives and experiences. Our Vida Psychologists are highly trained in ACT. They assess individual needs and collaboratively decide if ACT would be suitable in therapy.